We had an amazing stay at Druids Glen. The service was excellent and the surrounding countryside stunning. It was so relaxing. Loved it! Very friendly staff, uniqueness of old and new, excellent welcome (pot of tea) before going to room! History of name of the hotel and just the general feeling that you had arrived at a place where the owners and staff were concerned that your stay was important to them. 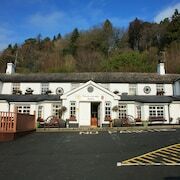 Where to find Wicklow hotels near an airport? Where can I find hotels in Wicklow that are near tourist attractions? Hotel options are extremely limited in Wicklow. You will find, however, 2 short and long-stay accommodation options within a 20-30 minute drive. The closest Expedia hotel is the Powerscourt Hotel, Autograph Collection, Ireland, which is 15 miles (24 kilometers) from the heart of Wicklow. 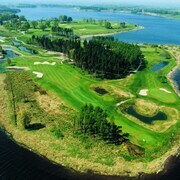 As an alternative, check out the Druids Glen Resort, located in Ireland, which is 8 miles (13 kilometers) away. 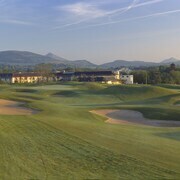 12 miles (19 kilometers) away from the center of Wicklow, is the Glenview Hotel And Leisure Club. Alternatively, the Tudor Lodge is 11 miles (18 kilometers) away. 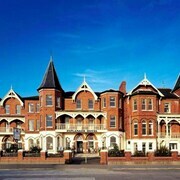 Some other hotel options around this area include the Esplanade Hotel Bray and the Martello Hotel. Time permitting, you might like to travel to other parts of the East Coast and Midlands region. East Coast and Midlands is known for beaches, and commonly visited East Coast and Midlands tourist sights include castles. Visitors in this region of Ireland can enjoy mountain biking. Get your sports fix by making a trip to 3Arena, which is 25 miles (40 kilometers) to the south of Wicklow. 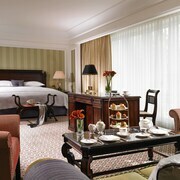 Stay nearby to the action at the Shelbourne Dublin, A Renaissance Hotel or the InterContinental Dublin. Dublin Airport can be found 30 miles (48 kilometers) from Wicklow. Visitors who wish to stay nearby, you can easily book a room at the Radisson Blu Hotel, Dublin Airport or the Crowne Plaza Dublin Airport. 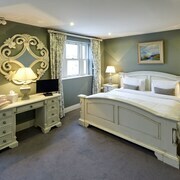 What are the most popular Wicklow hotels? Are there hotels in other cities near Wicklow? 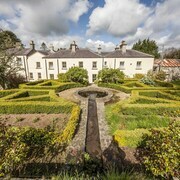 What other types of accommodations are available in Wicklow? Explore Wicklow with Expedia.ca’s Travel Guides to find the best flights, cars, holiday packages and more!